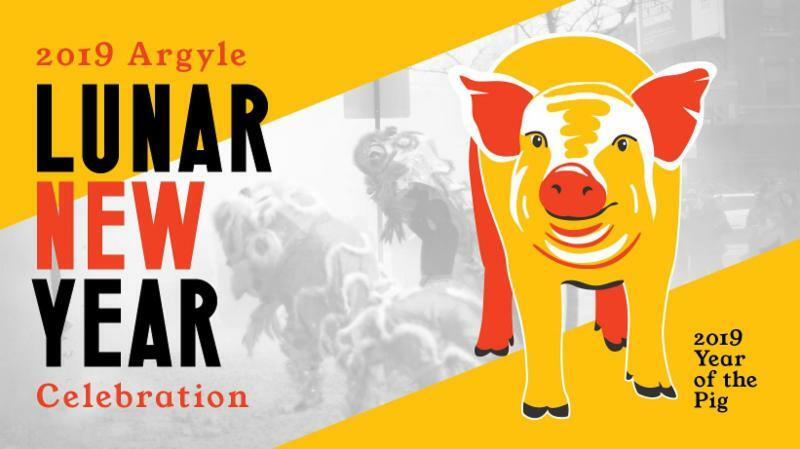 The annual Argyle Lunar New Year Parade is a decades-old Uptown tradition celebrating the start of the new Lunar Year. We hope you’ll join us as we kick off the Year of the Pig with music, colorful lion dances, entertainment, and more! Come along with a processional of local groups and floats starting near the Argyle “L” stop. Join Alderman Harry Osterman, Uptown United, and the Argyle business community for this special event! 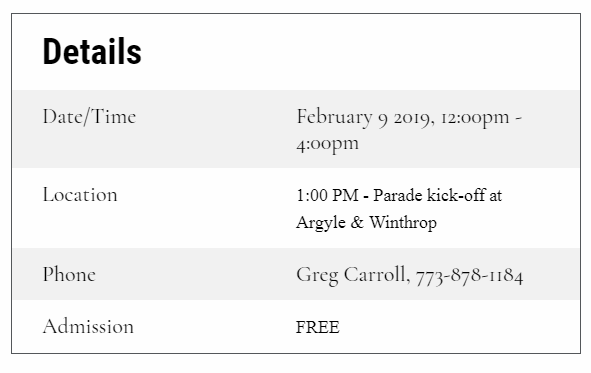 Route: Parade will kick-off at Argyle & Winthrop promptly at 1:00 PM and will head east along Argyle St., south along Sheridan Rd., west along Ainslie St., and north along Broadway to Argyle St. The Latin School Community Space welcomes you to drop in for a fun-filled day of art workshops and family-friendly Lunar New Year fun. Year of the Pig story time and crafts! Volunteers needed! The 48th Ward and Uptown United are looking for volunteer parade marshals for the parade. If you are interested in supporting this effort, please email PC Gooden-Smiley at pc@48thward.org. A special thank you to the 20th Police District and the Department of Cultural Affairs and Special Events!